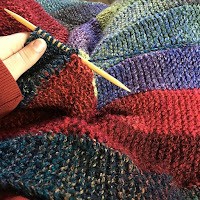 I'm not normally one to feel bad about the state of my WIP pile, but there are a couple of long-languishing projects that I want to get done over January and February: my two big blanket projects. My original Blanket is a 10-stitch blanket that I started my junior year of college. Six years ago. Originally my plan had been to make a queen-sized multi-color monstrosity, but I've refined that plan a bit. Now I just want a nice throw-sized nap blanket. I've been working on this one in the evenings to try and use up the yarn that I have for it. I've determined that I want another 2 balls for it, and I'll buy those when I go to the yarn store in a few weeks, so I'd like to be done with the current ball before then. My other blanket is my Garter Squish, which has only been on the needles for two years. But it's taking up a lot of room in my stash/WIP storage, and I'd like to get it done. 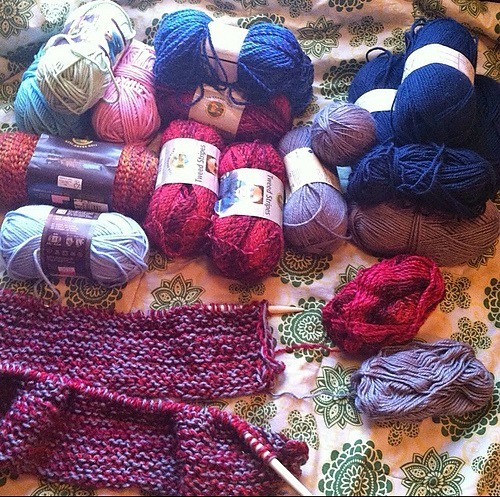 I have all the yarn for it, and I remember it knitting up quickly as long as I actually worked on it. Sadly, I only knit like four rows on this last winter, so it's been abandoned for a while. My plan is to make these my dedicated evening blankets until they're done. It's perfect blanket knitting weather, and both of these knit up really easily and pretty quickly as long as I'm working on them. I'm optimistic that I can finish them both by the end of winter, and then I won't have them hanging over me anymore. I've been considering doing one of those 10-stitch blankets for a while! Any advice? Oh blankets. I think I've decided my scrap blanket will never be finished. Good for you for knocking these out! You are so right, it is indeed blanket knitting weather! Don't feel badly, I have wips that have been languishing for years and I'm still determined to finish them one day (also, must relocate the pattern...). 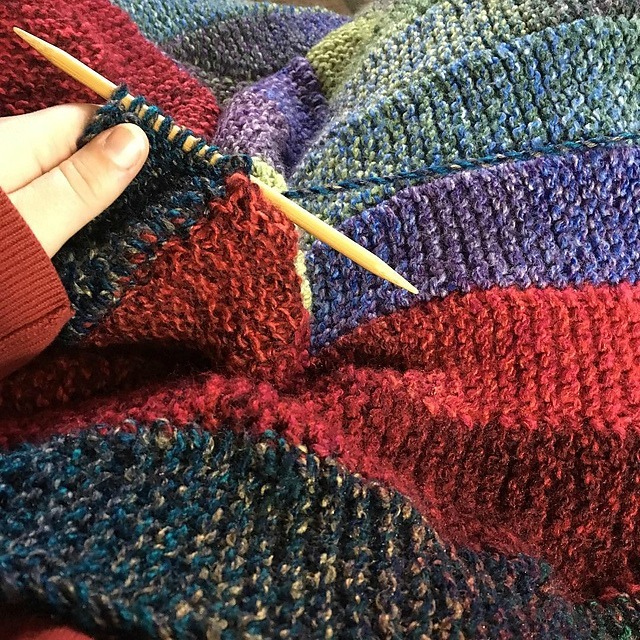 I look forward to seeing your cozy blanket progress! Hi, I'm Kat! 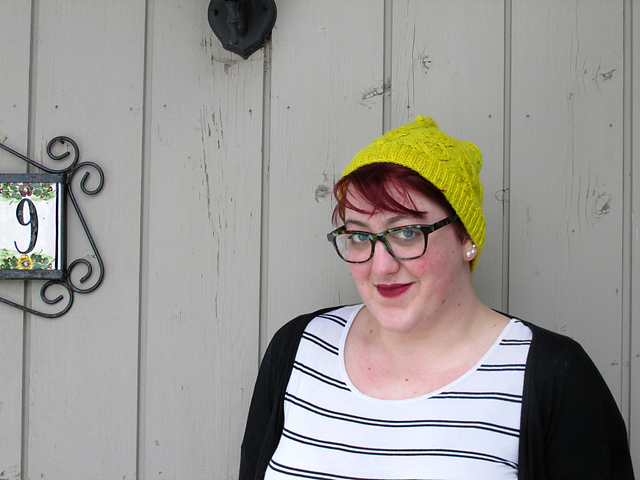 I'm a knitter, designer, color enthusiast, and avid puppy snuggler. I like to read books, too. Things I Make. Plus Rocks.